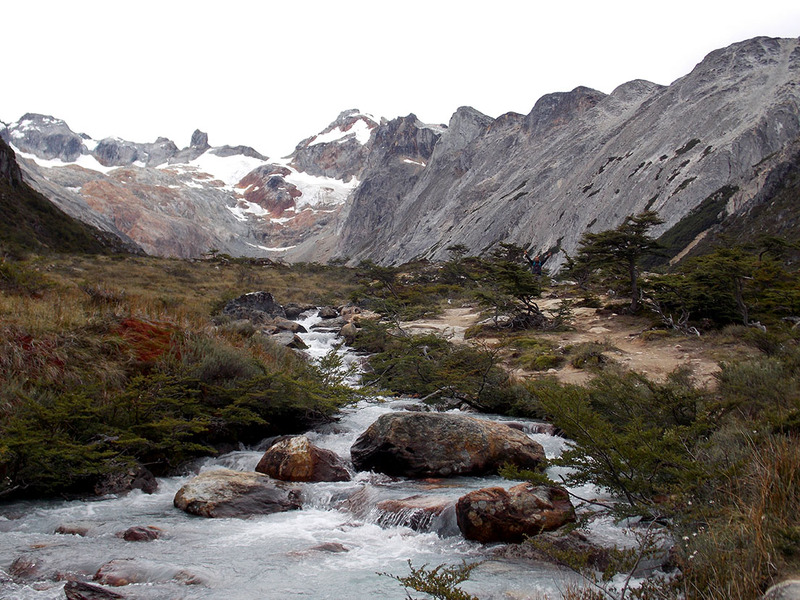 The Esmeralda Lagoon is famous for being hidden between mountains and by the Albino Eye Glacier. 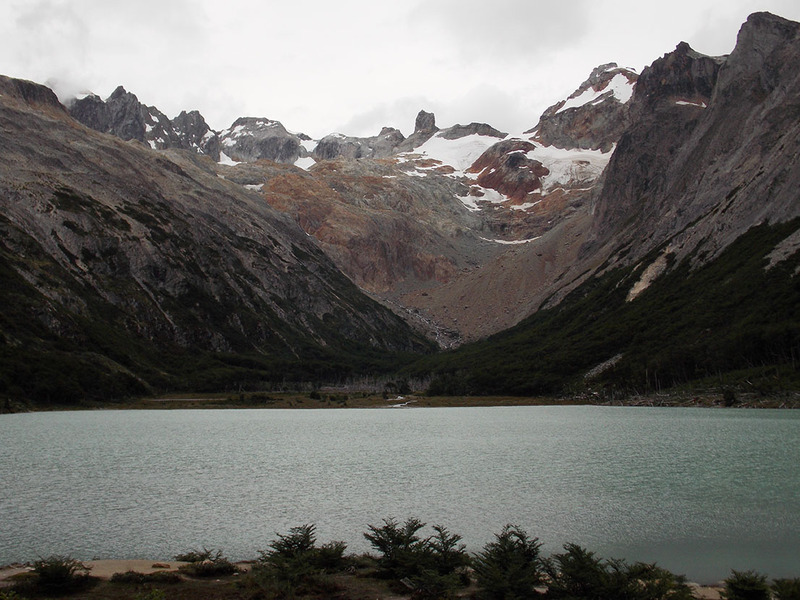 The lagoon is located only 18 km from Ushuaia, and it is a must see in Tierra del Fuego island. This nature trail extends for 9 km and most of it goes along the Esmeralda River. It is an easy walk, low difficulty, and can be enjoyed at any season of the year, but it is advisable to wear boots, because during the whole journey there might be mud and at some point we will face a large peat bog we have to cross. In fact, when walking on this kind of ground we should take for granted that our feet will get wet, and may sink a bit, getting some mud all over our foots. To reach the lagoon we must turn towards the Valley of Wolves (valle de lobos) on Route 3. If you come from the north, there is an open area after the valley where you can leave the camper, and if you come from the south the parking areas is before the valley. 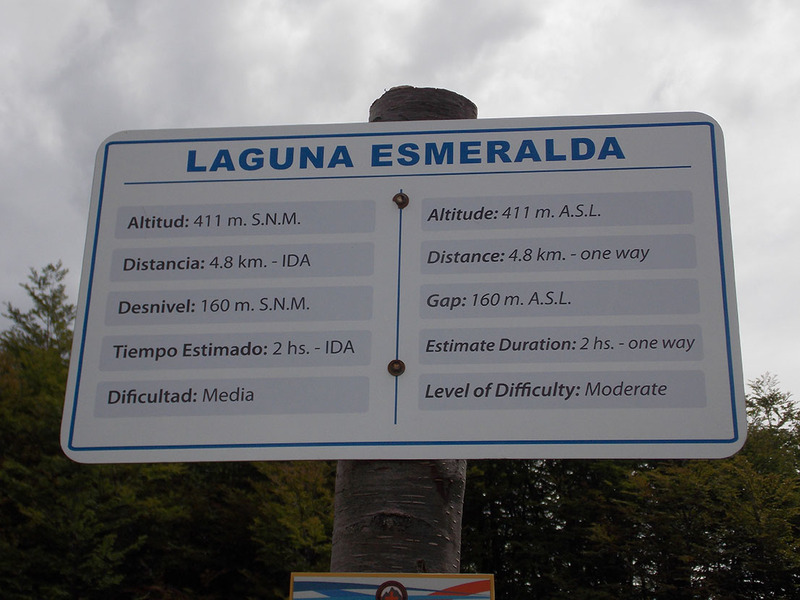 Almost right on the road there is a small sign that says “Laguna Esmeralda” marking the start of the trail. 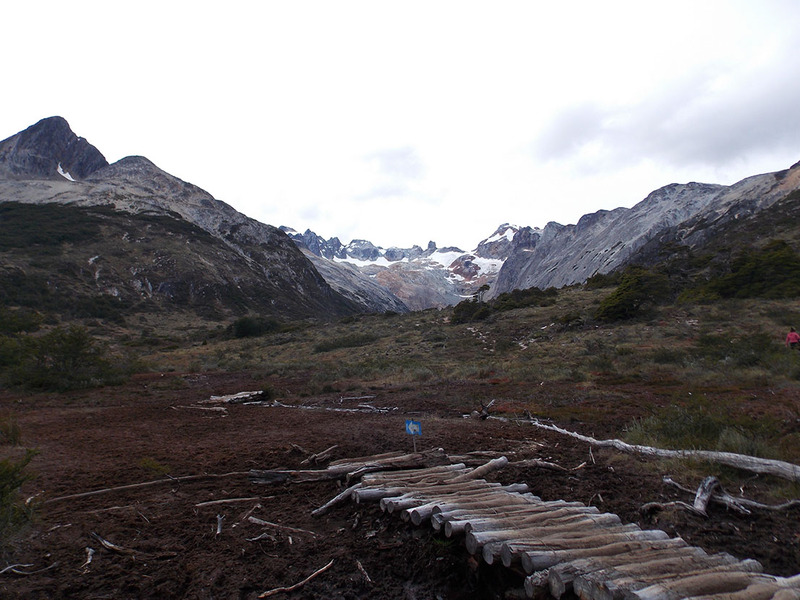 The first stage of the trail goes in the forest, then we move into one of the common southern peat bogs, the peat bogs of the Valle Carbajal -Tierra Mayor, where you can see the damage caused by the bever colony, which on the other hand are engineering works, form by strong tangle of branches. 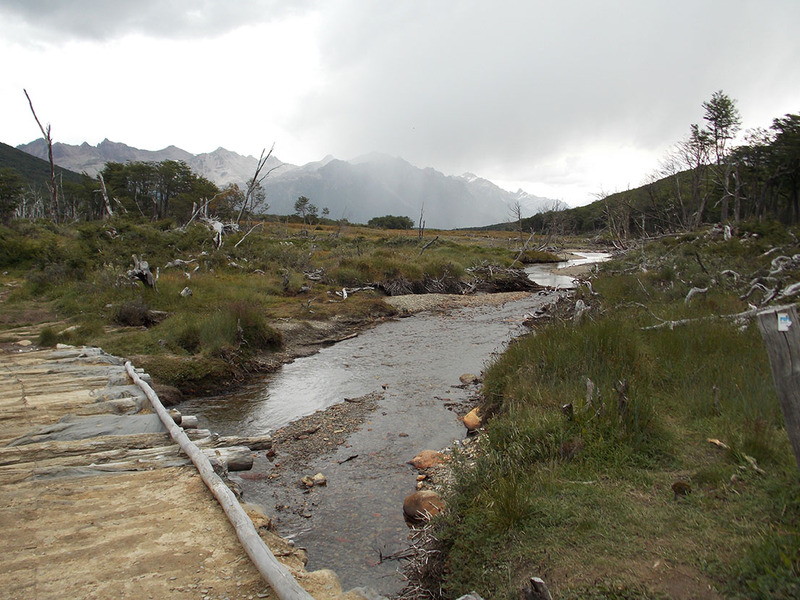 The beavers are not originate from Tierra del Fuego, that´s why they are of a great damage to the ecosystem. After crossing a bridge of longs over the Emerald River the road goes back into a native forest of LENGA, and soon after you leave the trees behind to step now in a very large peat bog. 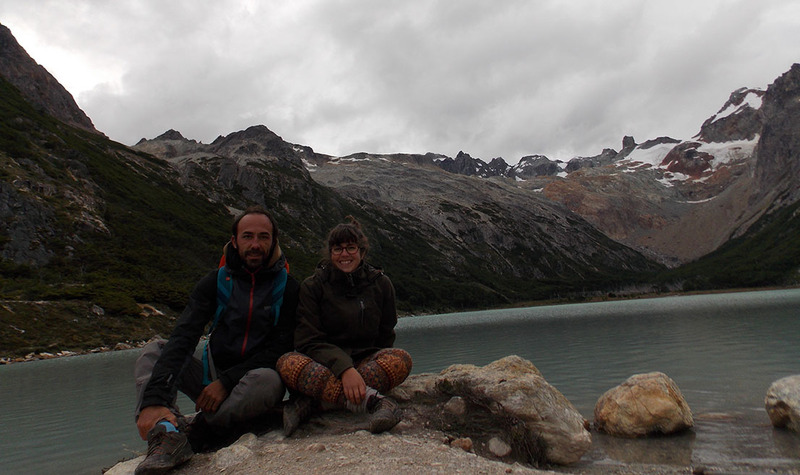 At this point of the path we recommend you to stop for a while, take a snack, some pictures and contemplate the Albino Glacier, Bonete Mount, the Toribio Cord and the Alvear Mount. 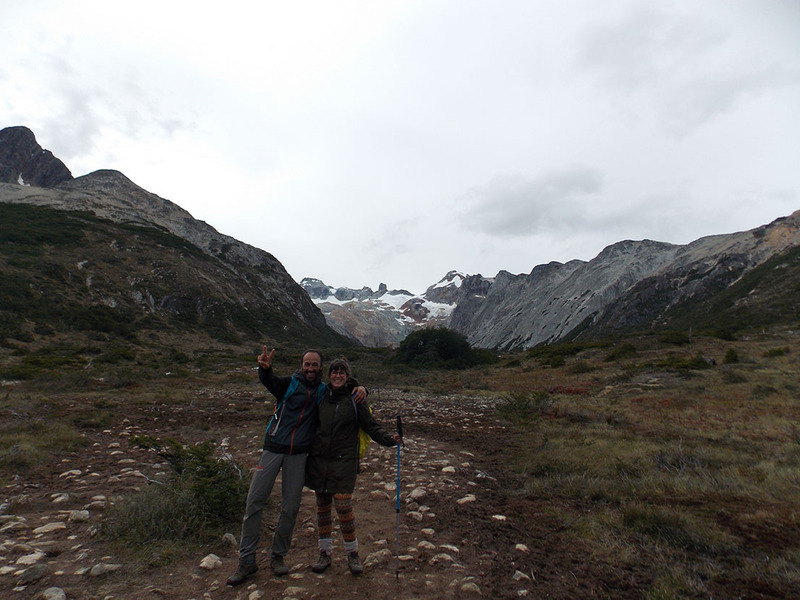 After this funny part of the trail we continue walking on the banks of the river towards the end of the valley, where the Esmeralda Lagoon awaits for us. 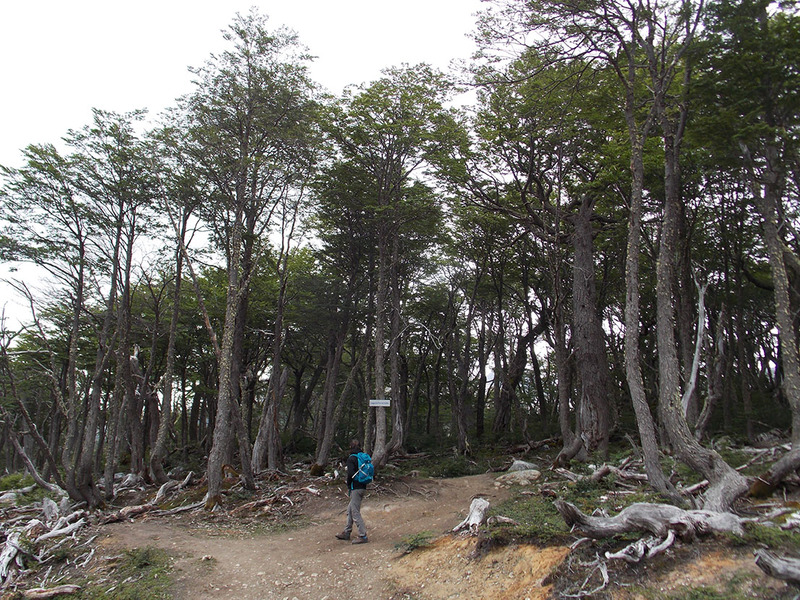 Have you visited Tierra del Fuego? How was your experience?